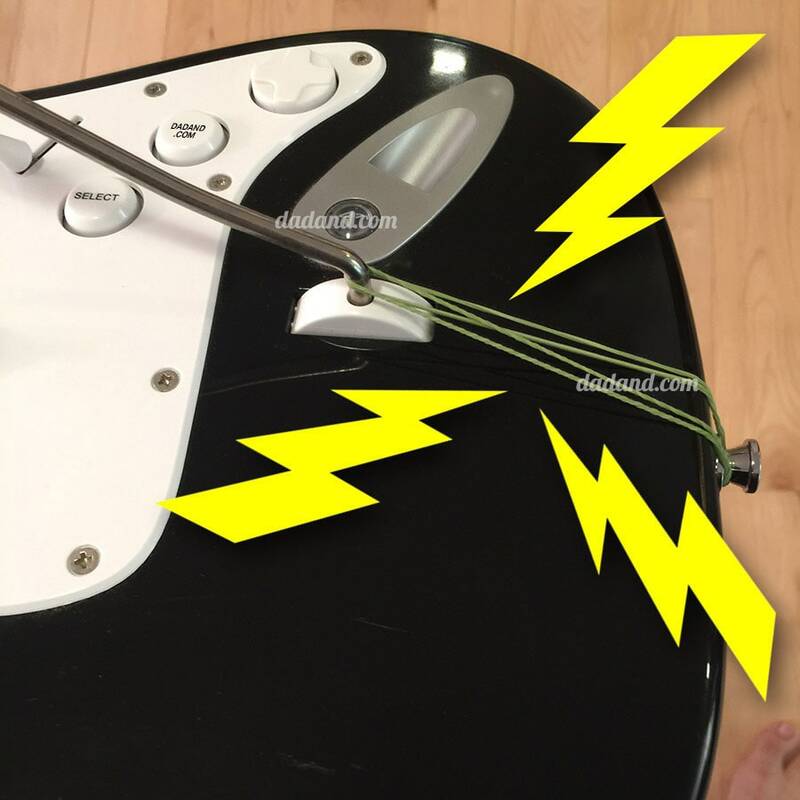 The Rock Band Guitar Whammy Bar Fix. I broke down and bought Rock Band 2 and the instruments off of Craigslist for my 10-year-old. The ad warned of “Broken Whammy Bars”. To me, “Broken Whammy Bars” is an opportunity. I can crack open an adult beverage, sit at my workbench, tinker, and come up with my whammy bar fix. 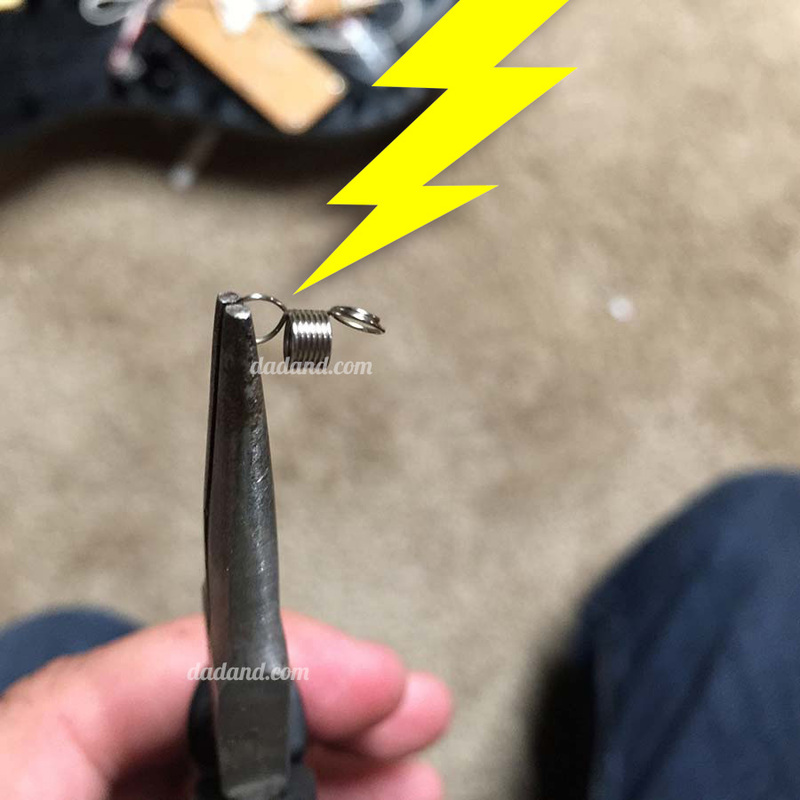 I found two quick ways to rock out the whammy bar repair. This offers the least amount of down time between not rocking and rocking. 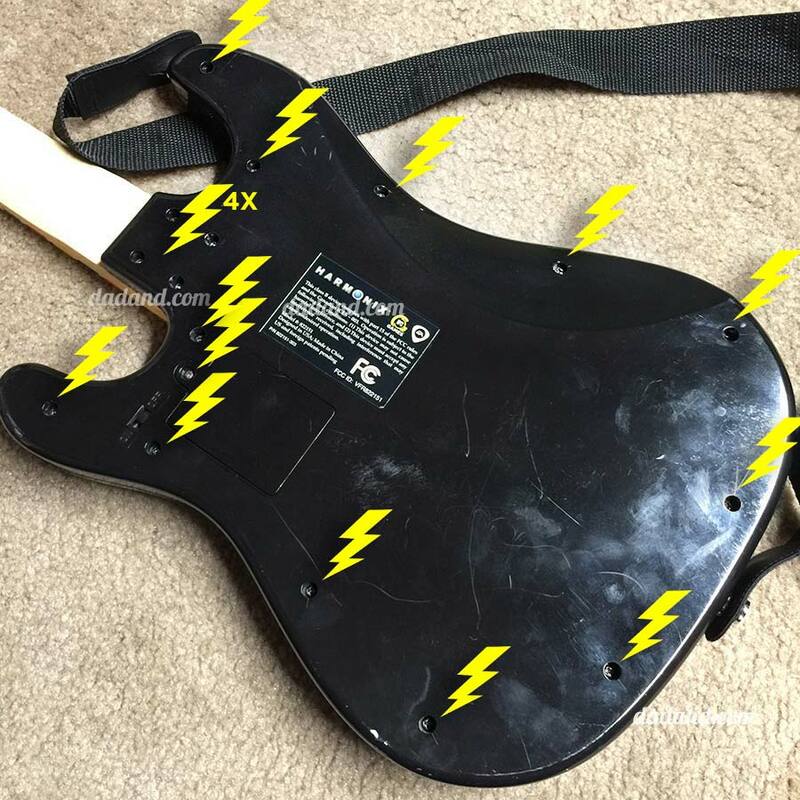 Find your most rocking rubber band and wrap it from the whammy bar around the guitar strap button. Boom, fixed. Take all the screws out of the back and gently open it up in case something flies out. 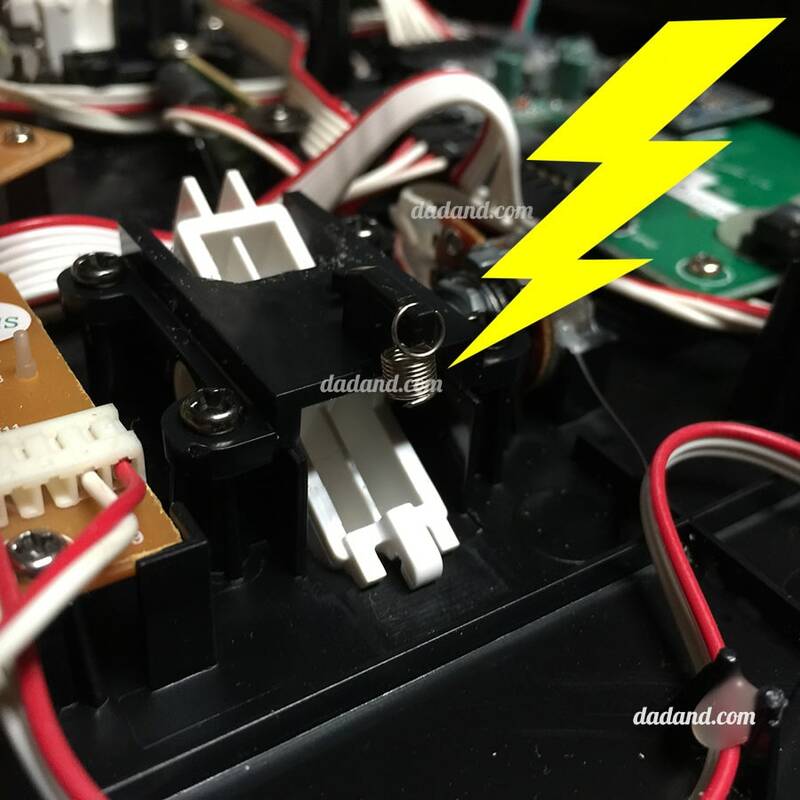 Inside are a lot of electronics and right away it’s easy to spot the source of the broken whammy bar. Someone must have been up to a hard day of rocking, whaled a bit too hard, and broke the little whammy spring. Sometimes you get really lucky and the spring somehow just popped off and you can just replace it and get back to rocking. Find the tiniest pair of needle nose pliers. 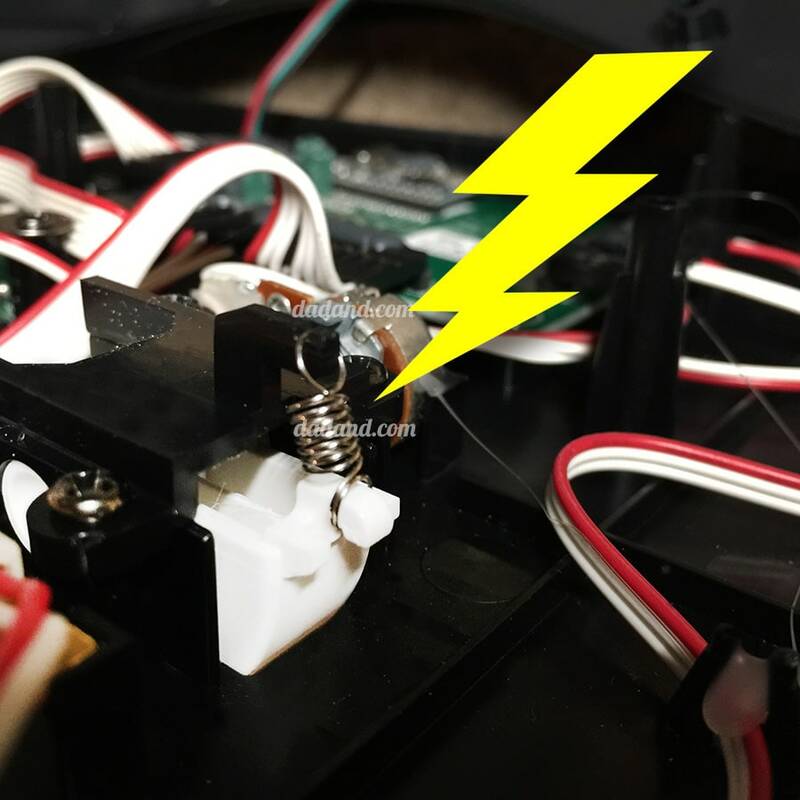 Grab the last row or two of coils on the broken side and bend them out. I’ll warn you right now, they’re a bugger to get ahold of and bend. But you’ll eventually get it. Now loop the spring back into the grooves and you’ve finished your repair. You probably didn’t even finish your drink yet. OH. Make sure your guitar strap buttons are in place before you screw the back onto the guitar. If not, you’ll be removing the back again. Sweet Rock Band Guitar Whammy Bar Fix Action. Pete's a dad. He loves nerdy stuff, gadgets, technology, little british cars, motorcycles, playing dolls, hacking items to make them better, and doing DIY home projects. Dadand is a mashup of all things dad-, and dude-related. DIY, tools, repairs, cars, gadgets, cooking, whatever. Plus we’re chasing around kids and fixing toys.